It doesn’t matter if you can’t remember all 17; it’s just important that you know they exist and that they will be with us until 2030. 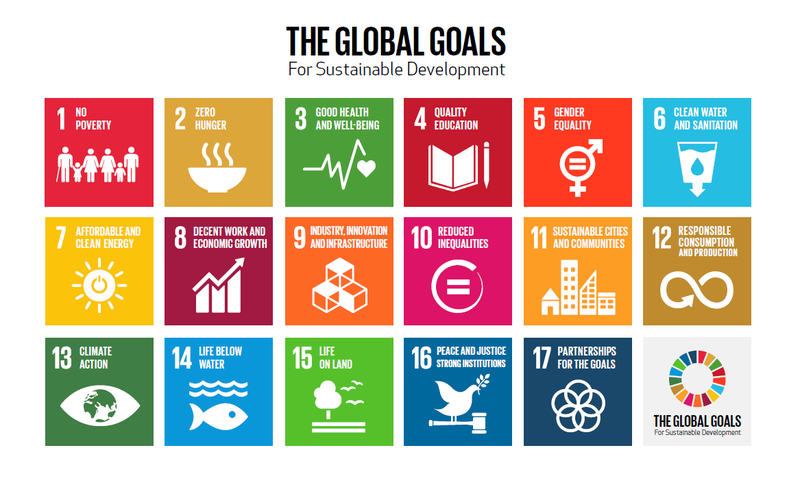 The Sustainable Development Goals, that is, or the SDGs as they are commonly referred to. Agreed this week in New York, the SDGs are a considerable achievement – a real success for the United Nations, which we should all acknowledge. For the first time the nations of the world have come together and they have agreed on a common direction of travel for all of humankind. As a set of goals go, they are comprehensive. You can look at all of the SDGs in detail here. They tackle eliminating poverty and hunger, dealing with climate change, addressing gender discrimination, ensuring clean water, good health, healthy oceans, clean energy and access to the internet for all, among many others. You might be cynical and say it all sounds like apple pie, but these things really do matter. With a globally agreed set of goals, international organizations, large businesses, aid agencies, charities, foundations, schools, village fairs – or even you on a fundraiser swim – can all go and do something to improve the state of the world. Anyone from a global enterprise to a local school can pick a goal they particularly care about and run projects or raise money; big or small – it really doesn’t matter. And the SDGs are not only for poor countries either – these goals are for all of us, wherever we live: from Detroit to Djibouti, Seattle to Senegal, Vancouver to Vanuatu. They are a set of 17 global goals to guide us all towards living fair, fulfilling and healthy lives on our one planet – that’s a pretty impressive and worthwhile ambition, whichever way you look at it. The Millennium Development Goals (MDGS) were their forerunner. The MDGs lasted from 2000 through 2015 and, by and large, they worked. MDG1 was to half the proportionate number of people on the planet living in extreme poverty (less than $1.25 a day) by 2015 compared with 1990. The World Bank calculated that this MDG was achieved five years early, by 2010. The figure dropped from 43% in 1990 to 21% by 2010, not forgetting of course that absolute population numbers rose at the same time, The SDG for 2015 to 2030 is to finish the job. The interesting thing is that the SDGs also ask for a new framework of collaboration for action – in fact, that is SDG17. It’s not only up to aid agencies or governments to make them work, says the UN Secretary-General Ban Ki-moon. We all are asked to get involved in new kinds of partnerships, if we can. Given that 3 billion of us are already digitally connected, and 4 billion of us have at least 3G cell phone access, the interaction possibilities around the SDGs do seem limitless. Who knows what apps will be created. What specifically might this new partnership approach mean? Let’s take an example to do with energy, one of the new SDGs. 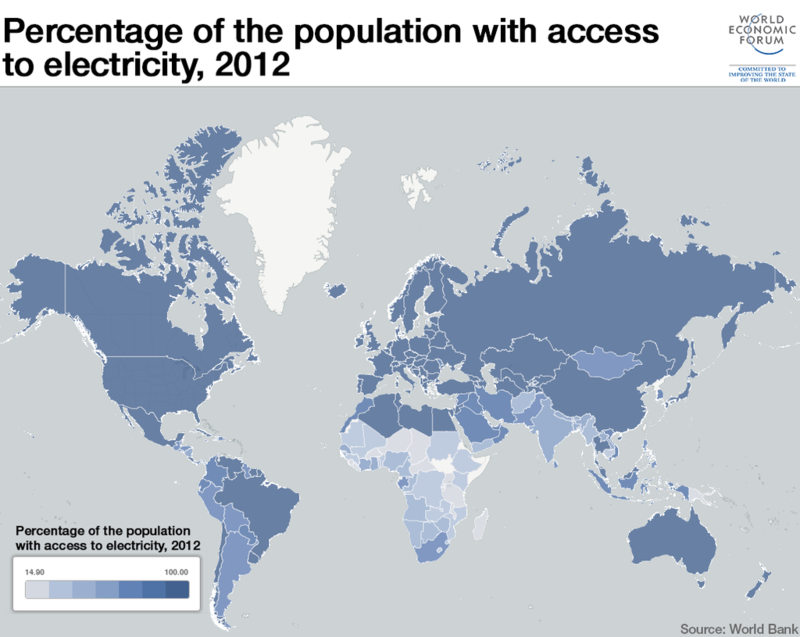 Over 1.4 billion people worldwide have no access to electricity. Since 2008, the companies Siemens and Osram and the NGO Global Nature Fund with support from the EC have supported a small “Energy for Everyone” off-grid project in East Africa. The WE!Hub (water and energy hub) is at the heart of the initiative. The WE!Hub is a decentralized solar-powered charging station that generates clean power to charge lanterns and batteries rented to customers. Each WE!Hub also acts as a mobile phone charging station and internet café/ICT-training room, and has a water purification scheme that filters water and eliminates germs with UVC lamps. There are now eight WE!Hubs in operation around Lake Victoria in Kenya, an area where there are about 30 million people who do not have access to electricity. The WE!Hubs help people who currently rely on kerosene for lighting and power. For local fishermen, switching to solar-powered energy-saving lamps pays back in only four weeks as the cost of kerosene can take up to 50% of their income. These kinds of local, but inherently scalable, public-private clean energy access initiatives have huge potential for delivering SDG outcomes fast. The WE!Hubs are a good example of a partnership. The companies get to generate new business in potentially large untapped markets. They use the help of an NGO that knows the local circumstances. As a result, the people get cheaper, cleaner energy with all the benefits it brings, including helping children do their homework at night under a clean solar lamp as opposed to the smoky, dangerous flame of a kerosene stove. A win-win partnership which is less about charity or handouts and much more about helping people get ahead in their own lives. There are so many possibilities like this where we can hack at our global problems with local, bottom-up partnerships. Could a We!Hub work in your neighbourhood? Who would you need to involve? Could you strike gold – by working on a SDG goal and starting a whole new business? As the International Institute for Public Private Cooperation, these are the kinds of questions that the World Economic Forum constantly asks. We are proud to be a platform that helps governments, businesses, civil society and international organizations make more partnerships work – at large and at local scale. To this end, the SDGs are an exciting international innovation which we will do our best to help advance. So what kind of new partnership could you think of to help meet the SDGs? How achievable are the SDGs? How can we eradicate poverty by 2030?